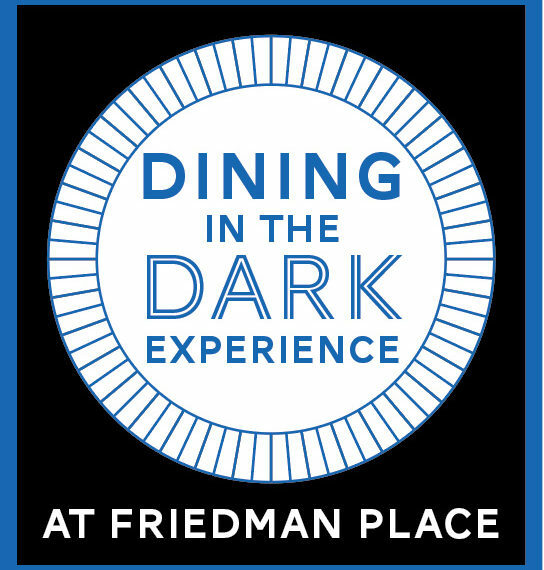 On Sunday, June 3, Friedman Place held our first Dining in the Dark Experience Event. Over 50 guests had the unique experience of being blindfolded and led into our Dining Room by sighted guides. Once situated at their tables, the blindfolds were removed to reveal total darkness. Once some tips for eating in the dark were provided by our Certified Vision Rehabilitation Therapist – Judith Querciagrossa, our guests enjoyed (or at least tried to enjoy!) a vegetarian meal complete with soup, salad and wine! As the meal ended, two of our employees – both of whom live with blindness – shared their stories of losing their vision, how they adapted and how they are doing currently. Allen West – our computer instructor – spoke of losing his sight as a young child and his fearlessness; while Jeff Flodin – one of our social workers – talked about all of the emotions and adaptations he experienced as he lost his vision in his 30’s and 40’s. 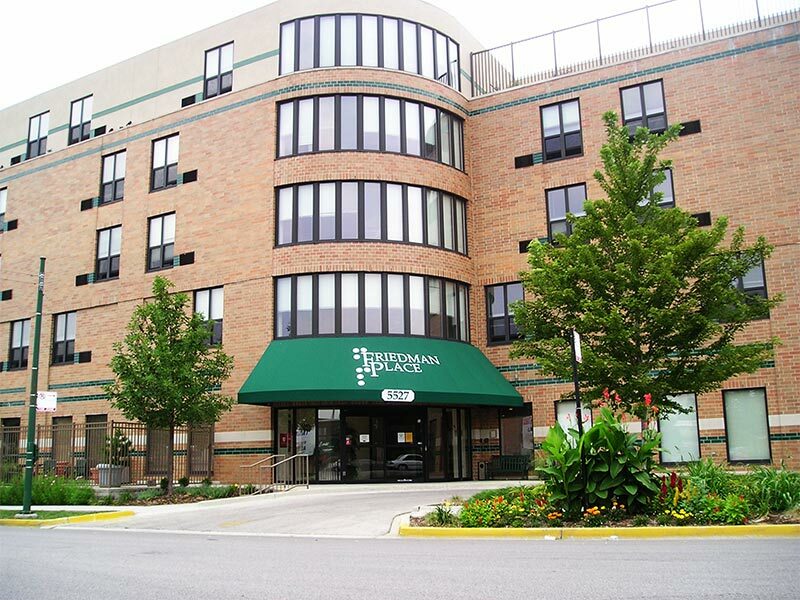 Their experiences are very different, but they also have a lot in common, each lives independently, they both have guide dogs and they both work at Friedman Place! They happily answered questions from the audience at the end of their presentation. Once the presentations ended, our Executive Director – Alexander Brown, answered additional questions and then lit a candle to slowly bring some light into the Dining Room. More candles appeared and dessert was served while guests mingled with each other as the event came to an end. As people left, staff heard many positive reactions from our guests, we look forward to hosting another similar event in the future. To learn more about upcoming events, please visit our Upcoming and Recent Events page.